For 25 years the Sydney Dance Company, under the artistic direction of Graeme Murphy, has dominated the Australian dance scene. 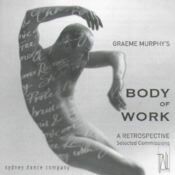 Murphy has always had a special mission to commission and promote new Australian music for dance, and this CD presents a small selection of some of the most successful scores. A huge range of musical styles includes the cheeky Tango from Vine's celebrated score to Poppy, the night club stylings of Iva Davies, the gentle melodic invention of Graeme Koehne and the powerful orchestral work of Conyngham. This CD also includes Vine's monumental first Piano Sonata played by Michael Kieran Harvey.